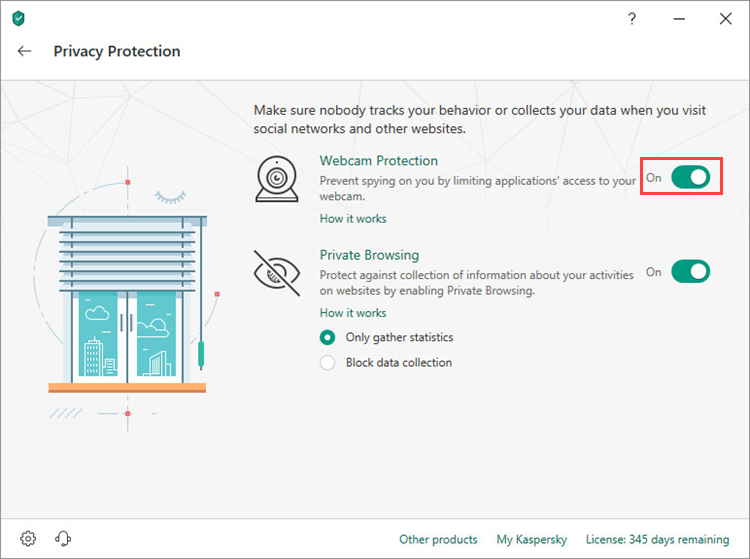 Webcam Protection is a component of Kaspersky Internet Security 19 that prevents unauthorized access to your web camera. You can deny all applications access to the web camera, or create groups of trusted applications that will be allowed to access it. When these applications try to access the web camera, you will receive a notification with the option to allow or deny them access. Audio stream from the web camera’s built-in microphone, should the application try to access audio data separately to video data. Built-in or removable drives of the web camera. Other features of the camera. 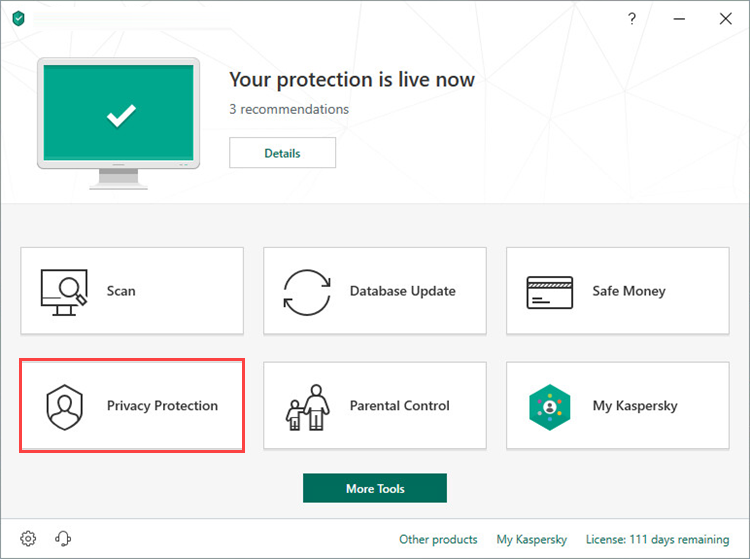 In the main window of Kaspersky Internet Security, click Privacy Protection. Click the switch to enable Webcam Protection. Webcam Protection is now enabled. In the main window of Kaspersky Internet Security, click . Go to the Protection section and click Webcam Protection. Block access to webcam for all applications. 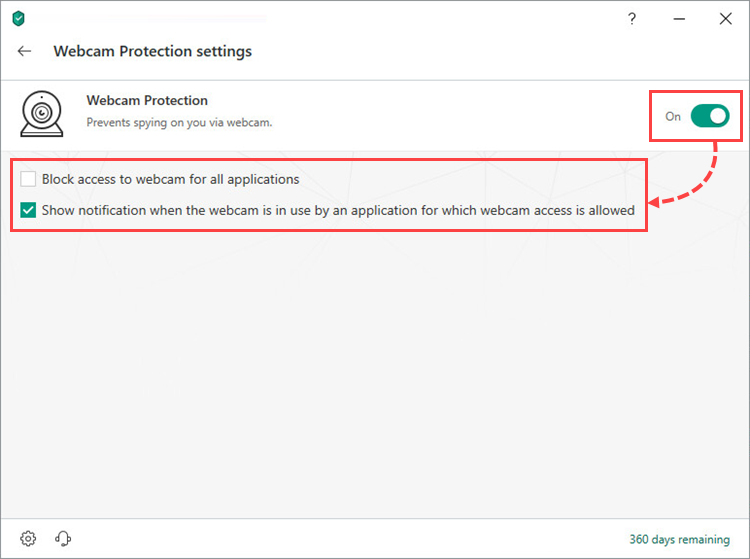 Show notification when the webcam is in use by an application for which webcam access is allowed. For instructions on configuring a group of trusted applications, see this article. Webcam access will be provided according to these settings. 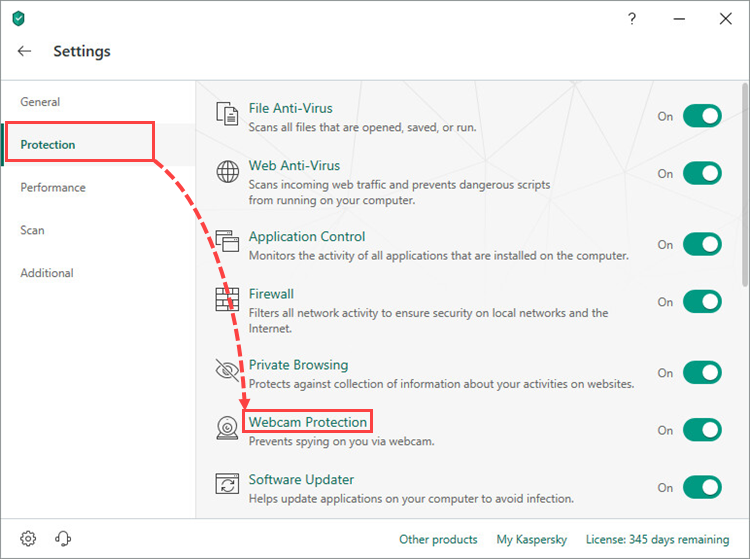 Kaspersky Lab does not guarantee the support of web cameras that are not listed above. Connect the web camera to the computer and turn it on (if the webcam has a separate switch). On Windows 7, click Start in the lower-left corner of the screen. In the search field, type Device Manager and press Enter. On Windows 8 / 8.1 / 10, press the key combination Windows+X and select Device Manager from the list. 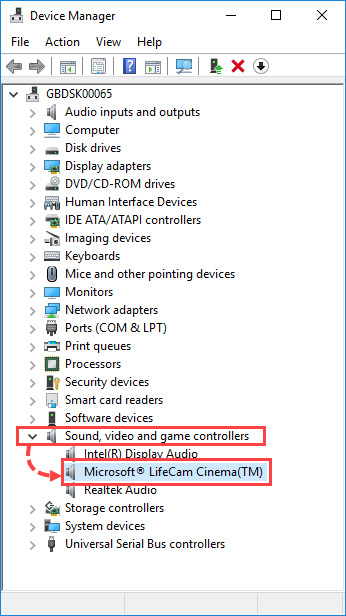 Find the webcam in the Imaging Devices section or Sound, video and game controllers section and double-click it. Go to the Driver tab and click Driver Details. 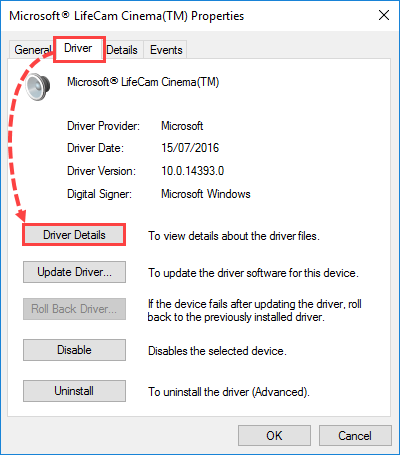 Check the list of driver files. If Kaspersky Internet Security supports the camera model, the list will show the file %windir%\System32\drivers\usbvideo.sys, where %windir% is the folder in which the operating system was installed. UVC-compatible cameras work with the operating system driver and do not require installation of the driver from the vendor. The installed webcam driver from the vendor registers the camera only as an Imaging Device. Kaspersky Internet Security does not control access to the camera if the Prompt for action permission is set for the application that is attempting to access the camera while Kaspersky Internet Security cannot be started (for example, the application is loading or not responding).